Thailand’s Biggest Island, Phuket, or the Pearl of the Andaman, is much Touted as a Key Tropical Paradise Blessed with Beautiful Beache and Azure Waters. 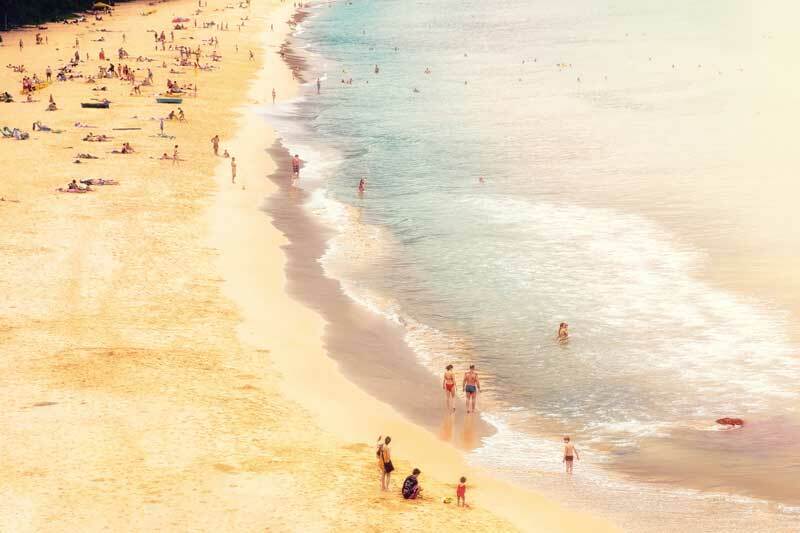 Phuket’s biggest draw is its vast collection of beaches from the serene and secluded to the popular teeming with the international tourists. With a wide range of accommodation, Phuket is accessible to everyone. 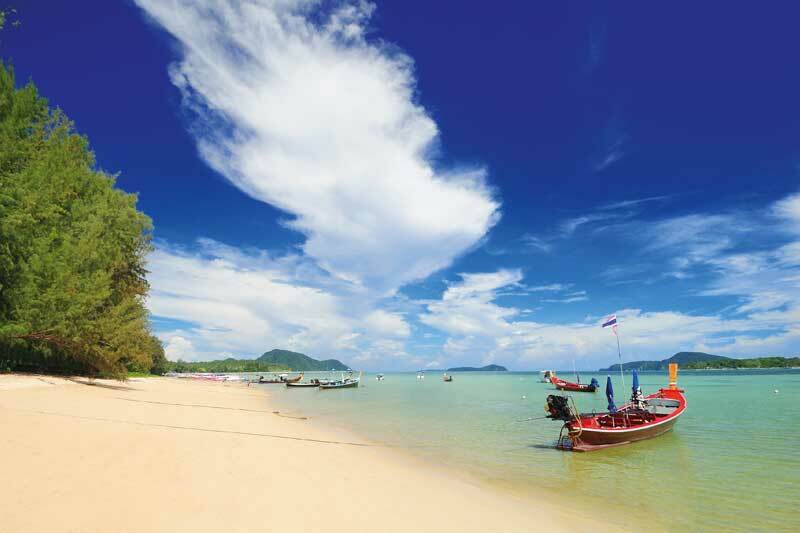 Straddling form north to south, Phuket’s notable beaches include Mai Khao, Nai Yang, Nai Thon, Patong, Kata and Rawai. 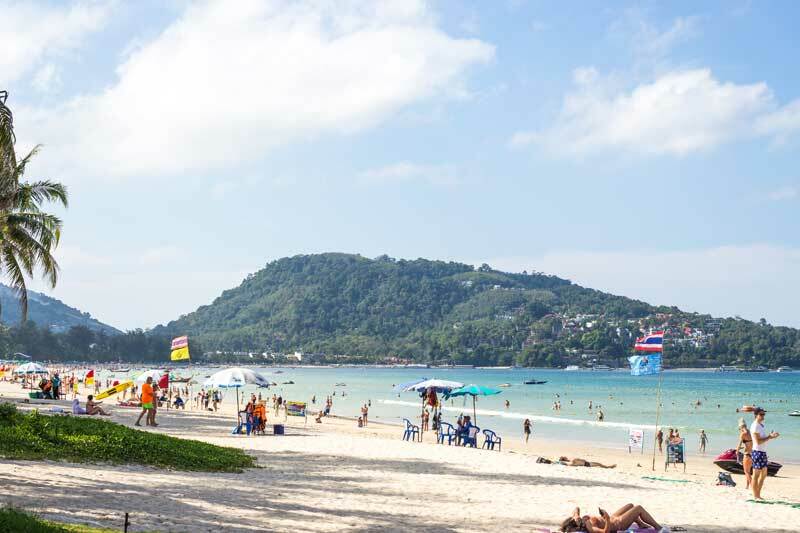 Other top attractions include the Karon viewpoint and Phromthep Cape. Patong, Kata and Karon are pulsating with life thanks to their modern facilities and alluring waters ideal for frolicking in. 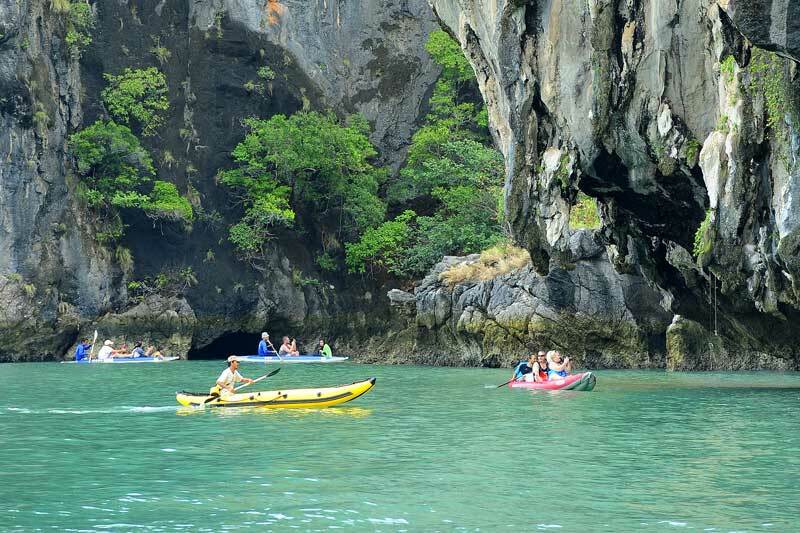 Phuket’s outdoor activities include jet-skiing, kitesurfing, windsurfing and kayaking. For peace, head to Mai Khao, Nai Yang and Nai Thon, all part of the Sirinat National Park. 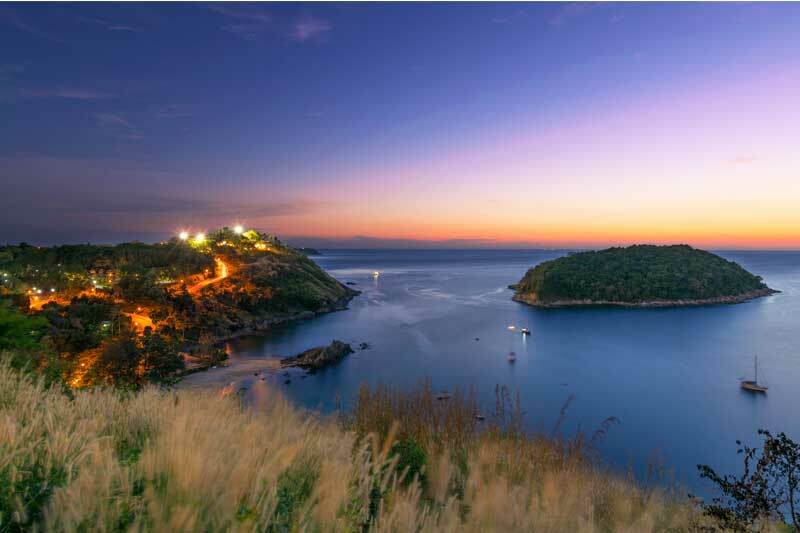 Phromthep Cape, the famous viewpoint on the island’s southern tip near Nai Harn and Rawai, draws lots of people every day at sunset. 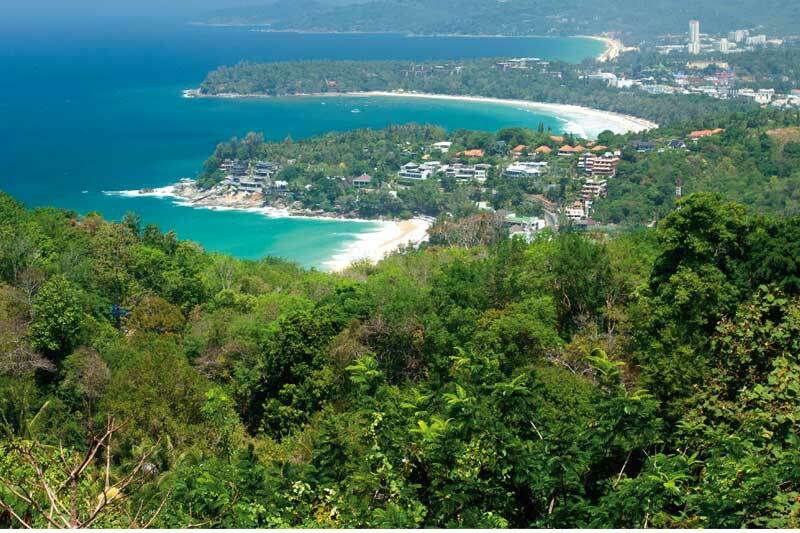 During the day, it’s worth visiting the Karon viewpoint overlooking crescent-shaped Kata, Kata Noi and Karon beaches. 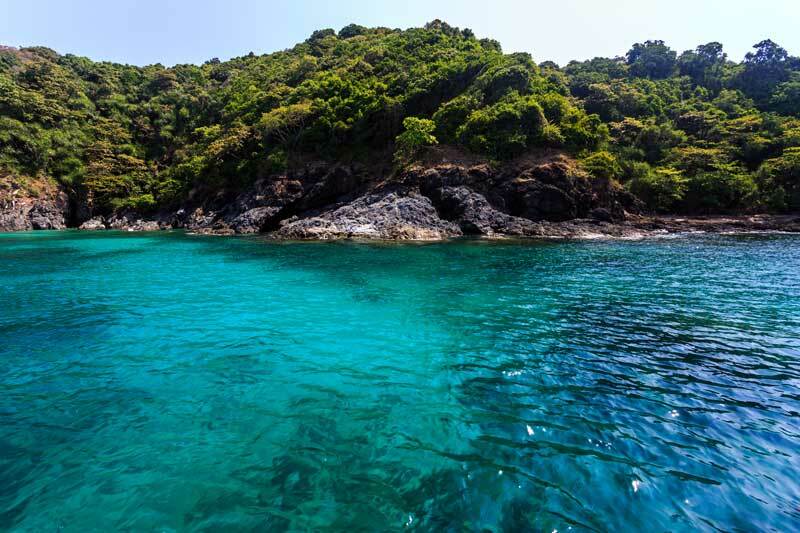 For a private getaway, head to pristine Koh Mai Thon, a 15-minute speedboat ride from Laem Panwa. Koh Mai Thon welcomes mostly day-trippers from Phuket and hosts a dense forest surrounded by golden sandy beaches and turquoise waters. There’s an eatery just a short walk from its main pier where visitors spend a lazy afternoon lounging around with a cold drink. Interesting activities on Koh Mai Thon include hiking along a nature trail to the hilltop viewpoint for a panoramic view of Phuket, Phang Nga and Krabi. 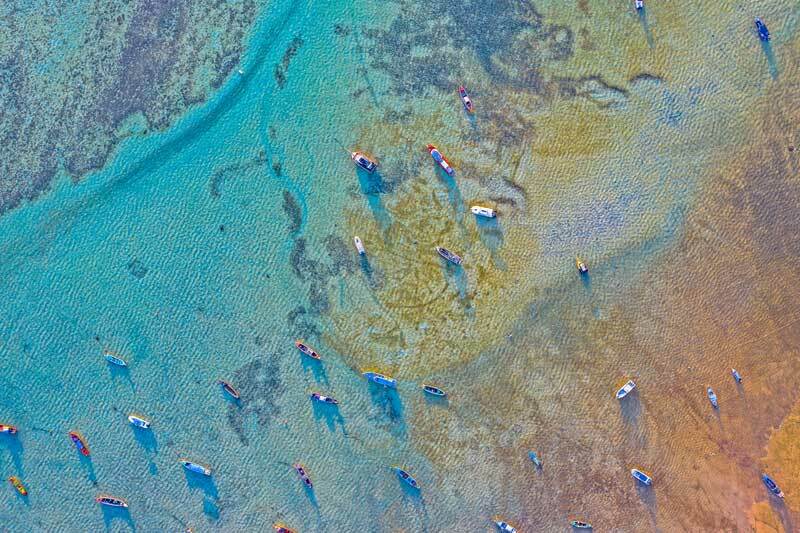 It’s possible to go snorkelling along its northern coast with coral reefs, clownfish and starfish. A typical tour to the island runs from 10.00 to 16.00, inclusive of a hotel pickup service and a meal on the island. A pleasure cruise along Phuket’s coast is a great way to explore its beautiful sea, numerous islands and coastal scenery like mangrove forests. As an added bonus, a boat tour is a great way to watch the sunset over the Andaman. 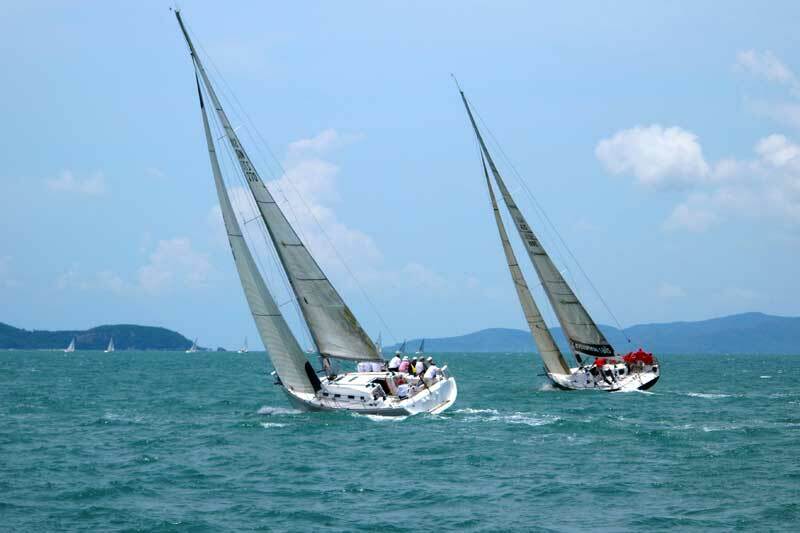 Many tour operators offer leisurely all-day or half-day cruises on classic junks, yachts, sailboats or catamarans along routes around Phuket or to as far as Phang Nga Bay. Most cruises wrap up with a stop near Phromthep Cape at sunset. 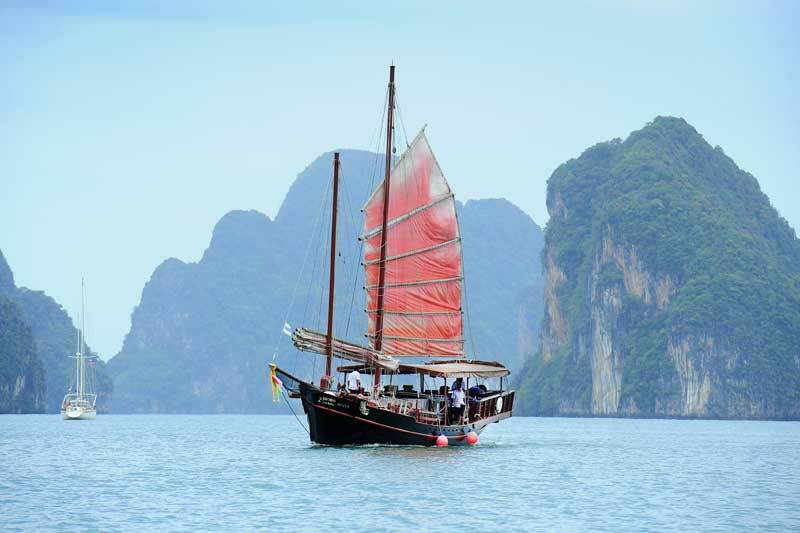 Many enjoy a pleasure cruise on an ancient junk with red sails that takes in islands around Phuket for an unforgettable Phuket experience. More info: Call the TAT Office in Phuket at 0 7621 2213, June Bahtra cruise at 081 979 9918 or visit www.asian-oasis.com. For a catamaran cruise, contact Discover Catamaran at 094 597 6111.